ARLINGTON, Va. – Arlington’s vibrant Clarendon nightlife scene continues to grow, and with it, the need for safer travels there and back. The County, working with rideshare companies Lyft and Uber plus Red Top Cab, is making sure patrons have dependable, designated weekend pick-up and drop-off locations. The initiative also aims to curb illegal practices, such as double parking and stopping in travel lanes, bus stops, bike lanes and crosswalks, to load and unload passengers. 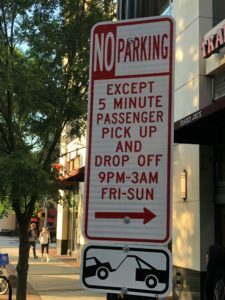 Motorists should be on the lookout for ‘No Parking Except 5 Minute Passenger Pick Up and Drop Off’ signs. 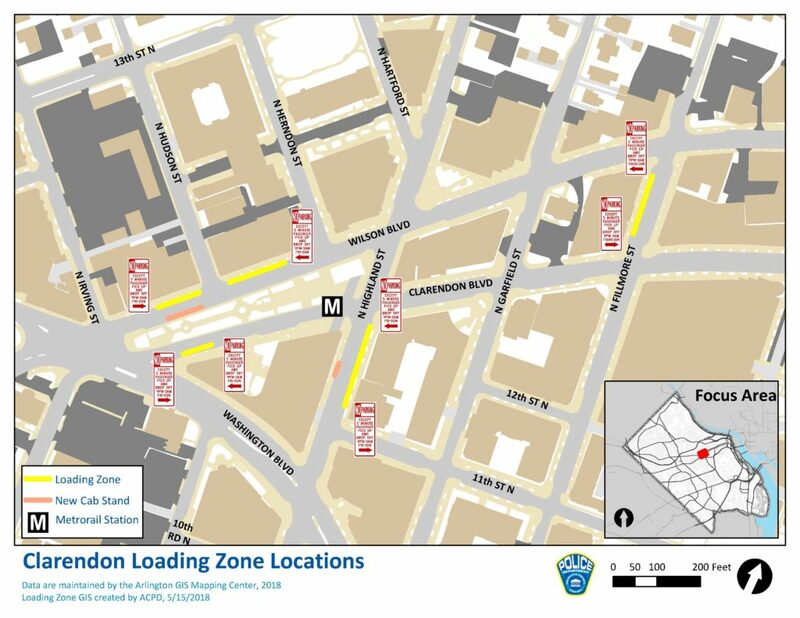 The Arlington County Police Department will strictly enforce the new regulations, however; a three week warning period is planned to help bring public awareness to the changes and encourage compliance through the issuance of verbal and written warnings for observed infractions. The warning period will also give drivers and riders an opportunity to become familiar with the newly designated pick-up and drop-off zones. Violators will be issued citations at the completion of the warning period. 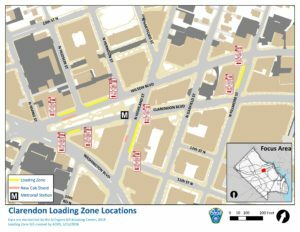 This is a joint safety project between Arlington County’s Department of Environmental Services (DES) and the Arlington County Police Department.